Welcome to our guide to the best Linux laptops based on user reviews, specs and Linux performance. While a few of these will even ship with Linux, most will require you to load Linux onto them after you purchase the laptop. Still, all of the laptops on this list represent the best out there for Linux. If you choose to install Linux on a laptop, then one of these laptops will work best for you. The best laptops for linux should easily work without you having to spend hours tweaking the system, meaning you can have a fully functioning Linux laptop at your fingertips in no time thanks to easy hardware compatibility. If you are still considering a Windows or Mac, be sure to visit our best laptop guides for some more options. 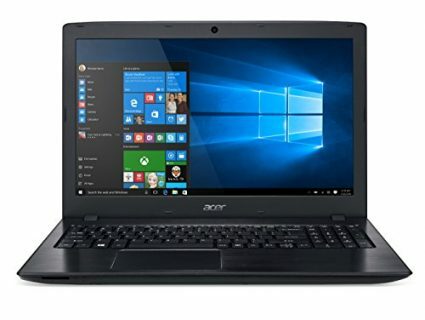 If you are on a budget our cheap laptop guides also offer great picks to save money and our guides to laptops under $1000 and high-end laptops both have some additional laptops to consider. If you are a programmer then our best laptops for programmers guide also has some great picks geared specifically for developers. The ultimate laptop for Linux, you can even have this one built with Ubuntu when you order it. It’s no wonder Linux Torvalds, the founder of Linux, uses this laptop for his install of Linux. This laptop comes with everything you could ever hope for. It’s powered by a seventh generation Intel Core i7U 2.7Ghz processor with a whopping 16GB of RAM. Designed with developers in mind, this machine is packed with all the features high end users need. For storage, you get a 512GB SSD, which is large and fast, but it would have been nice if it had a second hard drive since it doesn’t include an optical drive. It comes with a 13.3-inch QHD+ Infinityedge touch Display with a resolution of 3200×1800. This laptop is simply gorgeous to look at and use. It’s thin and light and just a pleasure to use, although the webcam is placed in a rather odd location, mostly due to the screen taking up the space where the camera is often placed. If you are searching for the ultimate Linux laptop, then look no further. 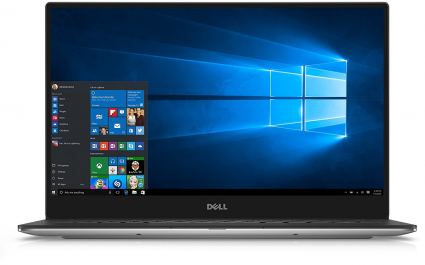 The Dell XPS9360 is hands down the best laptop you could ever use with Linux. 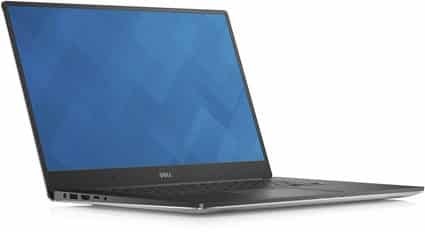 The Dell XPS9360-7336SLV 13.3-inch is one of the most beautiful and powerful laptops you can find today, but be ready to pay for it. There is nothing like running Linux on a high-end laptop. If you think Windows is fast on these machine, just wait until you try Linux. These machines will run any Linux distribution you throw at it with ease and will more than likely be faster than when they are running the resource hog that is Windows. If you truly want a spectacular Linux experience, then look no further than these laptops. For those of you on the hunt for an ultrabook with rock solid design, look no further than the Lenovo Thinkpad X1 Carbon. Praised for its carbon fiber and magnesium design that is tough as nails, this Lenovo is designed to keep going no matter what happens. It features a sixth generation Intel i5 processor and 8GB of RAM, giving it more than enough power to handle any distribution of Linux you choose to use. On top of the fast processor, you get a 256GB SSD for all your files. While you won’t store everything you have on this, it’s more than enough room for all your apps and games, and it will only help Linux boot even faster thanks to the fast read/write times. The display is very portable 14 inches and features a resolution of 2560×1440 which is more than enough real estate for you to see everything you need, even on a smaller screen. With a wide range of ports, you shouldn’t have any problem connecting your peripherals, although it would have been nice for it to include a USB-C port. Overall the Lenovo Thinkpad X1 Carbon is a beautiful ultrabook that incorporates carbon fiber for durability and lightness. But does not have an Ethernet port or USB 3.1 Type-C.
You don’t have to use Windows to render video. The Dell Precision 15 5510 is designed with video and image editors in mind. While you may not have access to the traditional Windows apps if you choose to run Linux, there are still many choices of apps do accomplish the same thing on Linux. With an Intel Core i5-6300HQ, you will have more than enough processing power for anything you need to do. While it does include 8GB of RAM, if you are doing heavy multitasking with large files, you could feel a slight slowdown, especially if you have multiple video files going at the same time. This machine includes a 500GB of storage space, which really isn’t anything special today, but will give you a lot of space to store your files. Still, it would have been nice to see an SSD on this model. It features an NVIDIA Quadro M1000M, which is designed for video editors, but can even be used for gaming. One of the great things about Linux is you don’t need a mega-powerful machine to run it. Sure, a high powered machine will run amazingly well on Linux, but it’s not required. In fact. budget machines that don’t feature premium processors and fast SSDs often run better on Linux than they do on Windows. So if you are shopping on a budget, the laptops below will run great if they are powered by Linux. If you are looking for a real bargain for your first Linux machine, then the Acer Aspire E 15 E5-575-33BM may be just for you. This affordable option includes a seventh generation Intel Core i3-7100U processor, which may not be the fastest in Intel’s lineup, but it gets the job done. Backing up this processor is 4GB of RAM, which is a touch on the low side for a machine today, but Linux will still make efficient use of these specs and provide a seamless and quick experience. It includes an LED backlit Full-HD display, giving you a beautiful computing experience. For storage, you get a 1TB hard drive, but it only runs at 5400rpm, which is far slower than most hard drives, but is expected in a budget machine. Thankfully, Linux makes efficient use of your hard drive, so you won’t notice as many slow downs compared to Windows. All in all the Acer Aspire E 15 E5-575-33BM is a great budget machine for anyone looking to get their feet wet with Linux. If there is one thing I have found, it’s if you wait a little while and then buy a laptop for Linux, you will have a much better experience, as the time you wait gives the Linux community a chance to release drivers and patches for Linux to improve compatibility. You will also save money. Such is the case with the HP 15-ay011nr. This laptop is a little dated, sporting last year’s sixth generation process, the Intel Core i5-6200U and 8GB of RAM. Still, that’s more than enough power for Linux, and you will be surprised how fast Linux can run on hardware that is a year old or more. It include a 1920×1080, Full-HD display with SVA anti-glare technology, giving you a beautiful picture while reducing those annoying glares around you.With its 1TB hard drive, you will have plenty of storage space, but it’s still only a 5400RPM drive. That’s to be expected in the budget category, however. Sometimes, things are worth waiting for. 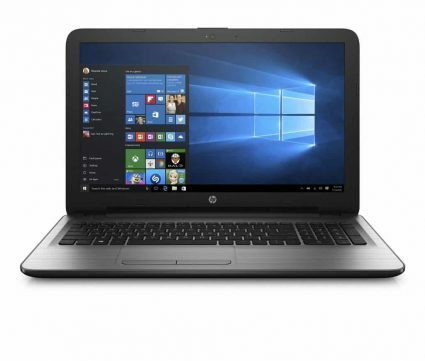 If you want a spectacular Linux experience where everything just works, and you don’t want to spend an arm and a leg, then the HP 15-ay011nr is definitely the choice for you. The HP 15-ay011nr is a great budget gaming laptop that offers a decent hardware for casual gamers. 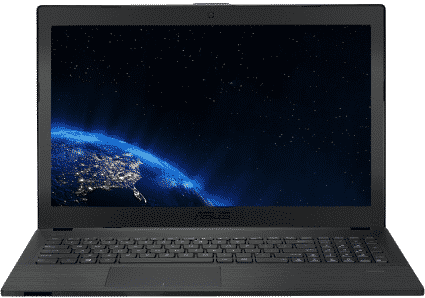 The ASUSP25400U-AB51 is another respectable entry in the budget category that is perfect for Linux. It’s powered by an Intel Core i5-7200U and 8GB of RAM, so you won’t have to worry about this budget machine falling behind in the processing category. This model even includes a fingerprint reader for added security. However, getting this to work on Linux may be challenging. It includes a Full-HD, TN display, but many still feel that improvements could be made as the picture is lackluster at best. Another complaint from many users is the audio. Placement and quality of the speakers weigh down the sound on this device, but if you are using this for work, that may not be a huge issue. While the hard drive is a full 1TB, it is a slower, 5400RPM drive, meaning slower read and write times. Going with a lightweight distribution of Linux will help in this matter, and Linux’s efficient file storage and management will help matters a lot. If you want a little more for your money compared the Acer above, but still don’t want to break the bank, then the ASUSP25400UA-AB51 could be right for you. While ChromeOS is essentially another version of Linux, many Chromebook users wish their machines could do more. Well you can transform that affordable machine into a true powerhouse simply by installing a full version of Linux that hasn’t been stripped down by Google. 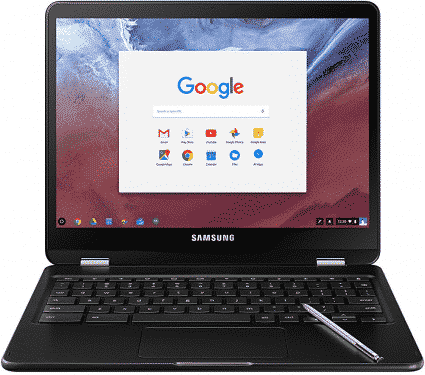 Powered by an Intel Core M3 6Y30 processor, this premium Chromebook from Samsung has more than enough power to drive a superb Linux experience. While it only includes 4GB of RAM, that’s pretty standard for Chromebooks. While more is always better, 4GB will give you enough for a smooth Linux experience, although depending on your distribution of choice, you may need to watch how much you open at one time. It’s brilliant Quad-HD display that flips 360 degrees will make even the most basic distribution look amazing, and the ability to fold it into a tablet will truly give you a unique experience. However, many Linux distributions aren’t as touchscreen friendly as Windows, but if you stick with Ubuntu or Fedora, the you should enjoy using the touchscreen. With 32GB of storage, you may not have enough room if you start saving a lot of files, but for most that should be more than enough for your operating system plus a healthy collection of data. 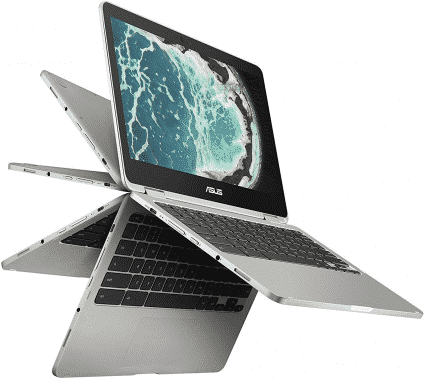 Another amazing flip Chromebook that can switch between a laptop and a tablet, the ASUS Chromebook Flip C302A-DHM4 also comes packed with enough power to almost be considered a premium Linux laptop. Featuring an Intel Core M 2.2 Ghz processor, this Chromebook has more than enough power for a smooth Linux experience. The included 4GB of RAM should be more than enough for most versions of Linux, and will give you enough for multitasking, although I wouldn’t go crazy with how many apps you have open. Where this Chromebook really shines is with its storage. With 64GB of solid state memory, you will have plenty of room for a lot of files after you install Linux, and because it is solid state memory, Linux will run at lightning speeds. The included screen is Full-HD, with a resolution of 1920×1080. While it’s not 4K, it’s more than enough resolution to give you a beautiful picture while using your Chromebook. Now you’ve come to the end of our list. We hope that one of these laptops in this list will suit your needs and your budget so you can put together a full-fledged Linux machine in no time flat. This isn’t the be all, end all for Linux, as Linux can be installed on virtually every type of laptop available today. These just represent some of the best out there and they all easily work with Linux without you having to spend time searching and installing custom drivers to get you going. If you want to try another option, why not try out Best Laptops of 2016/2017 guide or our Best Budget Laptops. While they may take a little bit of extra work, I have no doubt that you can get Linux running on them as well in no time.